Level Best now carry out the levelling and compacting of the final layer of stone trimming layer to your warehouse concrete floor slab. Utilising laser controlled sub base levelling equipment Level Best can accurately lay the stone to tolerances of +/- 5mm from overall datum, providing the material used is of suitable quality. 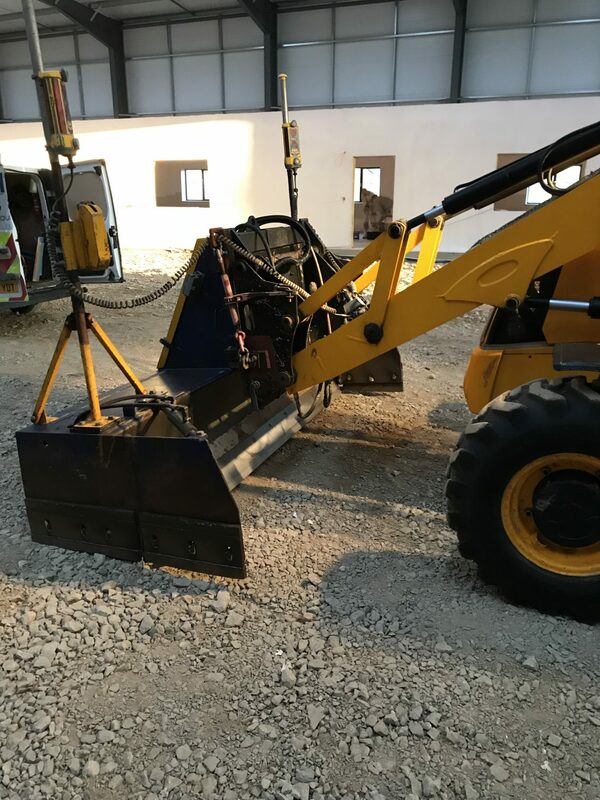 Once the laser controlled machine has laid the stone trimming layer to the tolerances required, the material is then roller compacted to ensure an excellently regulated working platform is provided prior to the industrial concrete floor slab being laid. This method of laying sub base regulating layers is not only extremely fast but also negates the main contractor having to carry out the works with old fashioned methods which are both slower and less accurate, resulting in time delays and over consumption of concrete material. The methodology of laying the sub base layer with the laser controlled machines also means that there is no rutting of the working platform and hence a more even layer of concrete slab at the underside, which minimises the chance of shrinkage restraint and surface cracking within your floor. Level Best Concrete Flooring offer this service nationwide throughout the country and are happy to include within their scope of works within the concrete floor slab package. Please feel free to forward any enquires you may have for sub base levelling and compacting you may have to enquiries@levelbestconcreteflooring.co.uk or simply call 01405 819199 and ask to speak to our concrete flooring estimating department.